For those who suffer from chronic sinus problems, it often seems like there is simply no relief, and the symptoms can intrude into your daily life in a major way. You can be subject to frequent congestion, nuisance drainage from the nasal passageways, and considerable facial pain and pressure, which when taken collectively, can have a major impact on your quality of life and your overall outlook. For those who require athletic performance for sports and leisure, these symptoms also play a crucial role. The first recourse for individuals with chronic sinus issues is generally some kind of medication which would be prescribed by the family doctor. If that provides inadequate relief from the nuisance symptoms, more serious options may have to be considered. The trouble is that some of those more serious options involve surgeries which might call for considerable recovery. For athletes, this is not really an acceptable option, because, during all the time that you’re away from a training program, you would be losing all those athletic attributes it took so long to build up in the first place. People who are serious about jogging, biking, gym workouts, or any other athletic endeavor involving a serious physical commitment, don’t really want to lose all that time to a surgical procedure. One very good solution to this dilemma is to undergo a balloon sinuplasty because it’s one of the few alternatives which provides an excellent medical solution, while at the same time being minimally invasive, and requiring very little recovery time. In the past, whenever sinus issues did not respond adequately to medications, the next option presented to a patient would usually have been surgical removal. Everyone has four sets of sinuses, those being the maxillary sinuses located in the cheeks, the forehead’s frontal sinuses, ethmoid sinuses situated in the nose, and sphenoid sinuses which can be found toward the back of the head. Any of these sinuses can produce a number of uncomfortable symptoms such as headaches, facial pain, and even infections that can cause disease. When the disease was detected in the sinuses, the only option was pretty much surgical removal, unless a patient was willing to put up with a whole flood of medications consisting of antihistamines, steroid sprays, allergy shots, decongestants, and antibiotics, all of which typically have very limited effectiveness. As an alternative to the uncomfortable surgery which would have been necessary, doctors would routinely prescribe all these medical options for as long as the patient could tolerate them, as long as there was any sign of symptom remediation. The reason that surgery was held as a last resort, was because it generally involved making surgical incisions under the lip, around the eyes, above the head, and sometimes all of these together. At last, a surgical procedure was discovered which took all the pain and discomfort away from the process because it made used a brand-new technology called balloon sinuplasty. 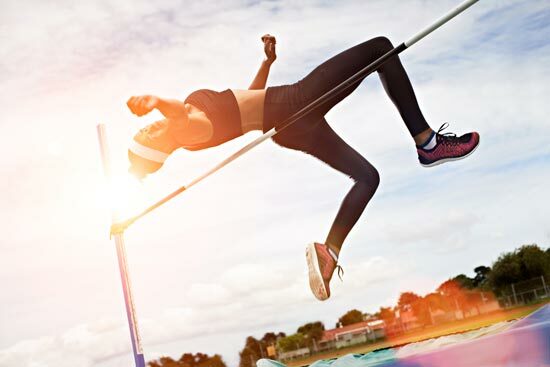 With a high success rate and reduced recovery time, balloon sinuplasty is a superior treatment option for individuals who seek to maintain peak athletic performance. The need for making incisions around the head and face is now a thing of the past since balloon sinuplasty has become the prevalent procedure in the medical field for correcting serious sinus issues and disease. Whereas the old traditional surgery required a one-week admission to the hospital and involved intense surgical procedures, balloon sinuplasty can be performed in less than half an hour in the comfort of a doctor’s office. Far less preparation time is required, the time necessary to accomplish the procedure has been drastically reduced, and the recovery period from balloon sinuplasty is amazingly brief, compared to its predecessor. Balloon sinuplasty is very similar to the process which was developed a few years ago to open up clogged heart arteries, and it’s just as effective the great thing about balloon sinuplasty is that absolutely no tissue gets removed during the process, and it does not require a general anesthesia as did a surgical removal. In the actual procedure, a thin wire is directed into the affected sinus, and a small balloon is passed along that same wire. As the procedure progresses, the small balloon is successively inflated, deflated and removed for each sinus being treated. It happens quite frequently that patients experience significant relief right while they’re sitting in the chair in the doctor’s office. Patients are generally able to drive themselves home afterward and are fully able to resume their regular athletic performance within a couple days following the procedure. Athletes who are reluctant to miss any training time will have absolutely no issues with balloon sinuplasty because there will be virtually no recovery time needed for most of them who are in excellent health anyway. While there might be a small amount of ongoing nasal drainage for a day or two, that clears up quickly, and the patient is left with considerably better breathing, and a most a complete absence of the sinus symptoms which plagued them before. Compared to the traditional method of surgical removal of the affected sinuses, balloon sinuplasty is a clear winner and an absolutely ideal option for those who would really appreciate minimal recovery time and a lack of reduced athletic performance after the procedure.